Unisex sport frame, fits most regular sized adults. 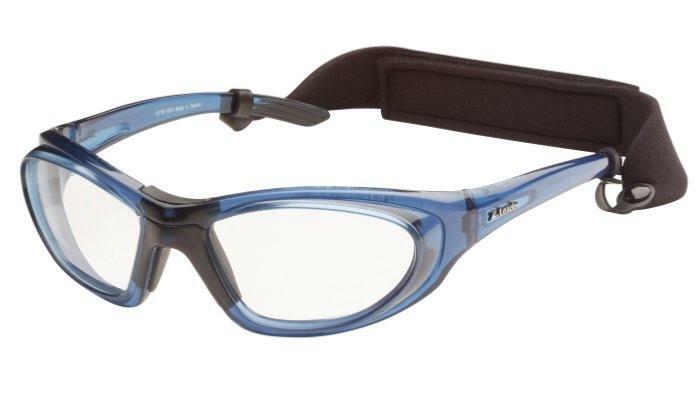 Features unique 6-base design wrap styling gives the illusion of an 8-base wrap-around sports goggle to easily suit a wide range of prescriptions. All styles include: Tough impact resistant polycarbonate safety lenses. Patented Springuard lens retention system outperforms standard "V" safety bevels. Soft silicone, oversized padded bridge for added comfort and fit. Carrying case, microfibre cleaning cloth and sports strap. Rx RANGE: +3.00 to -6.00 with opposite cyls to 2.00. If you require the frame only simply add to cart and checkout . If you require this frame glazing you have two options. Be sure to define Right (R) and Left (L) lenses, your P.D measurement, frame size (M, L, XL), your age (18+) and prescription date. No powers beyond stock! No prisms!